Ultimately, this is what I'd like my patio to feel like - an outdoor cafe. 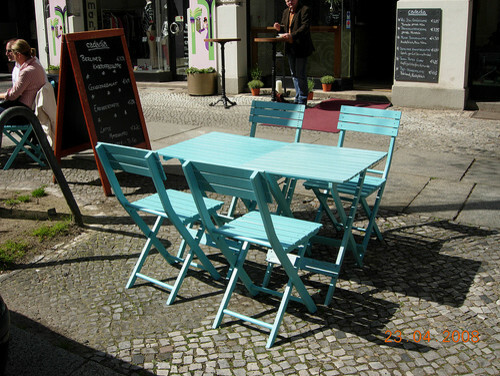 This Berlin cafe is great inspiration - simple furniture, pretty stone, lots of sunshine. It's welcoming and open.